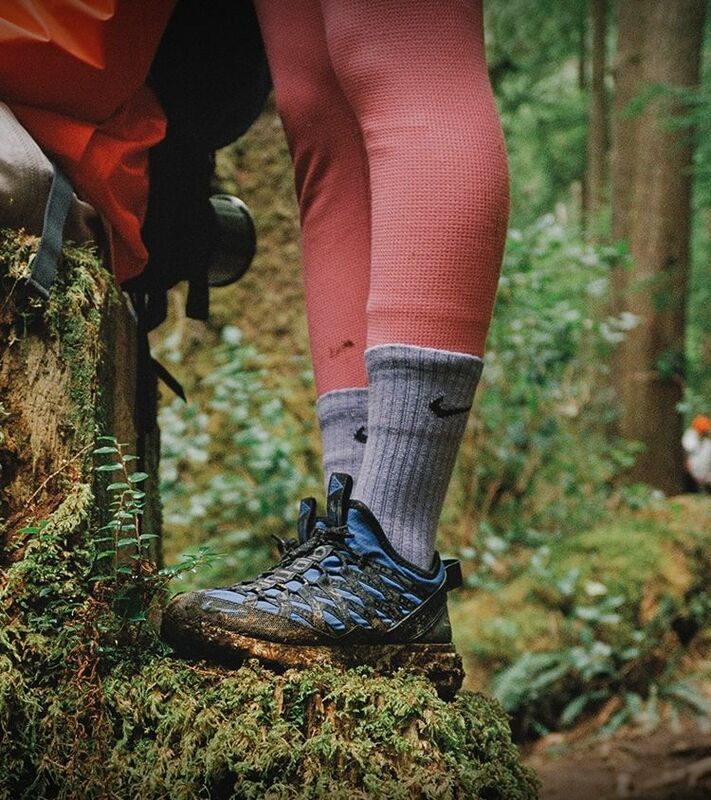 Nike ACG, short for All Conditions Gear, was originally launched to serve athletes who do more extreme activities, like rock climbing and mountain biking. 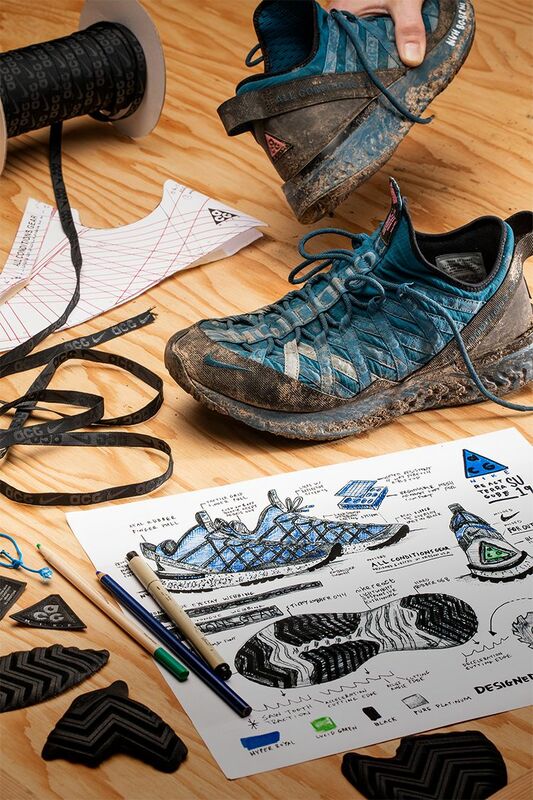 Today's ACG footwear continues to be designed for all-day, outdoor wear. 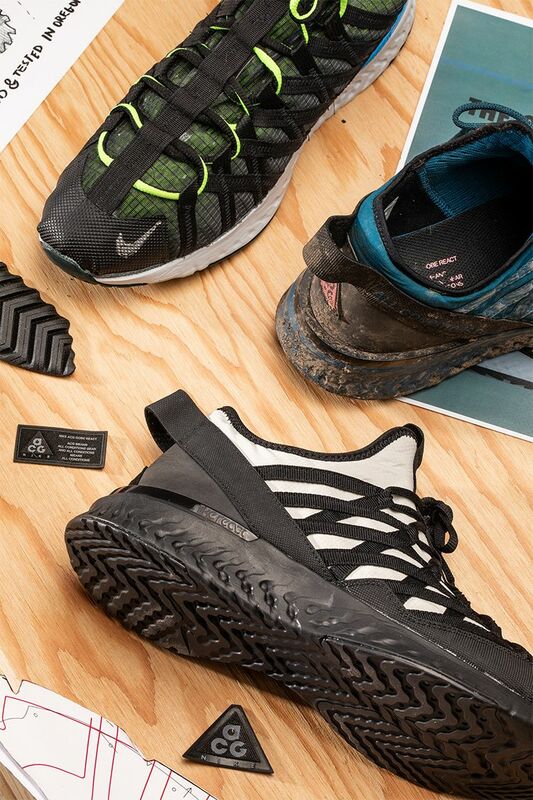 The next shoe in this lineage, the new ACG React Terra Gobe, was tested in the outdoors for use on multiple terrains, and was named after both the Gobi Desert and ACG's "go be outside" spirit. 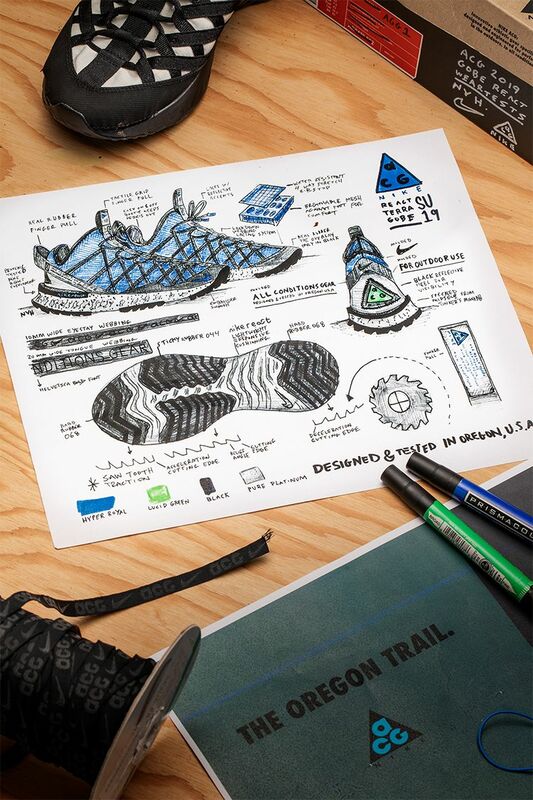 "We're not just making shoes that are inspired by the outdoors", says Nathan VanHook, Nike Senior Creative Director and ACG footwear designer. 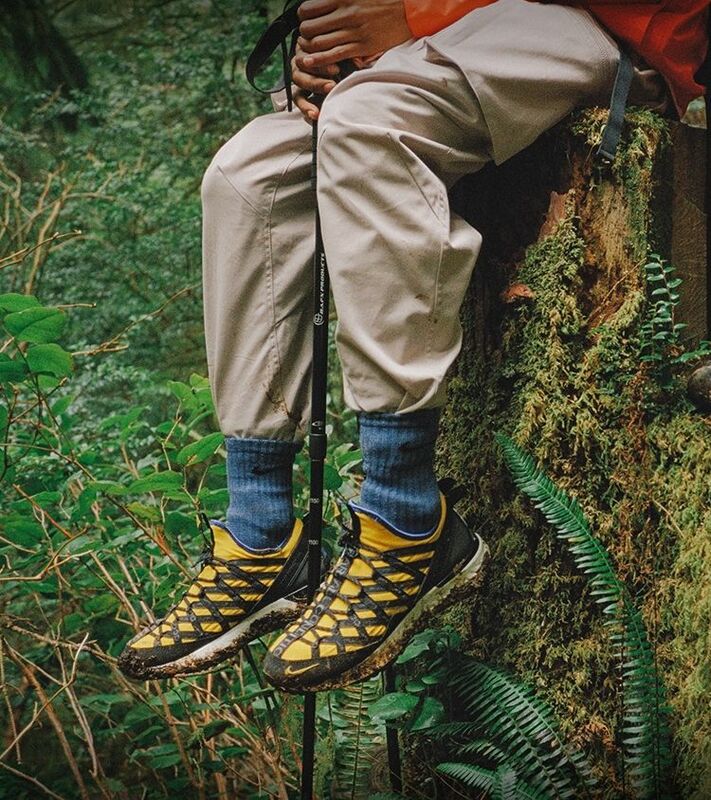 "This shoe is built for the outdoors, to be comfortable, modern and wearable". 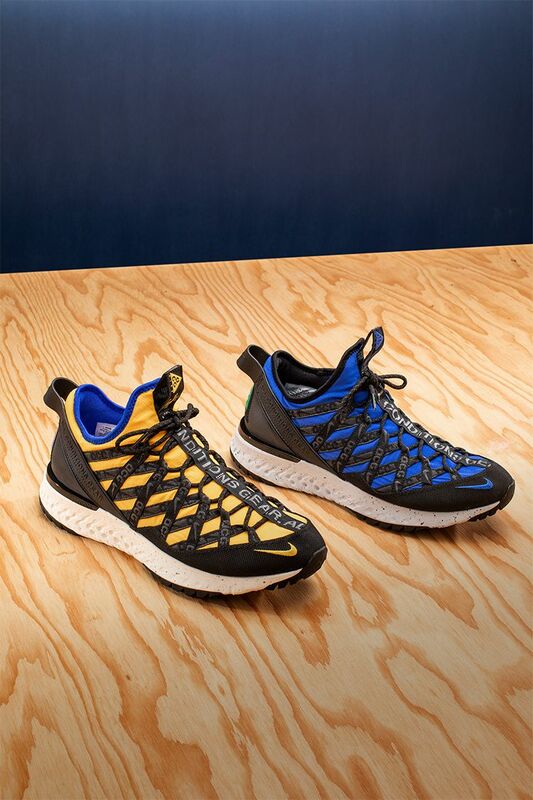 The React Terra Gobe has a Nike React midsole, giving it innovative, lightweight cushioning. It's paired with angled, saw-tooth traction on the outsole, which aids acceleration in the forefoot and deceleration in the heel. The shoe's underfoot system combines with an upper made from water-resistant, four-way ripstop fabric on top of breathable mesh. 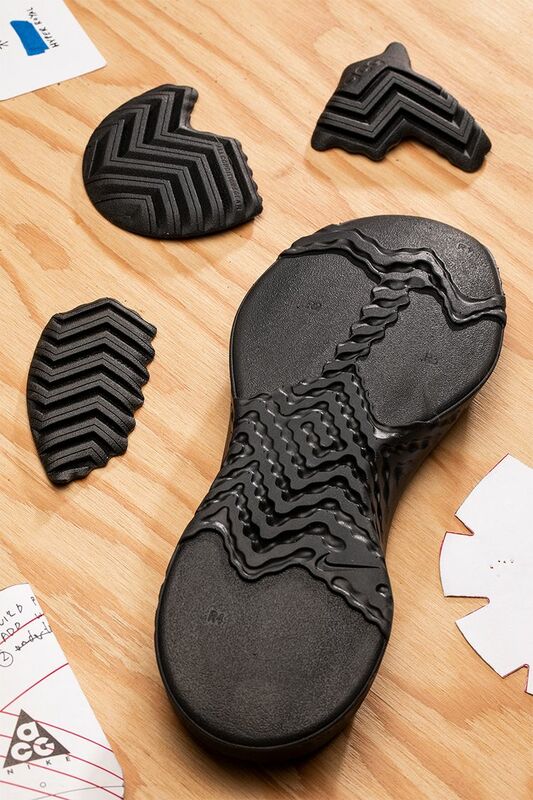 It has a series of black details—rubber on the toes, webbing, finger pulls and a reflective-design heel piece—that provide grip, ease of entry, lockdown and visibility. Each detail considers seasonality, from the quick-drying of the ripstop, to the bootie structure that keeps debris out of the shoe. The React Terra Gobe's development was made possible thanks to desert marathoners, whose feedback improved the toe box and durability of the shoe. "The idea is that if this shoe can withstand such an extreme surface over time, then it's the ultimate all-conditions product", says VanHook. "We want to enable people to get outside, explore and adventure without a particular agenda. Don't be afraid to get these dirty".